NEWS: A book has been written about M.C. Fry (son of Eva Gailey Fry). You can preview and/or purchase the book by clicking HERE. Email us as we have a couple of copies left on hand to purchase. The book was written by his daughter Eva Rose Fry Collins. 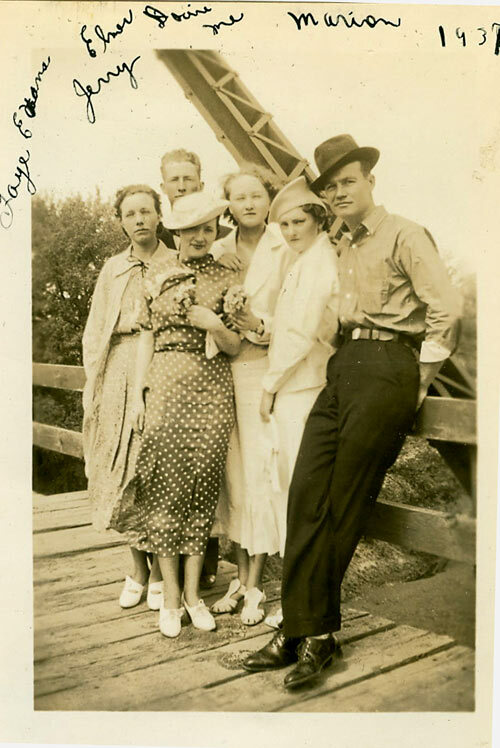 Photo: Left to Right - Faye Evans, Elmer Gailey, Geraldine "Jones" Norwood, Dovie "Gailey" Hunt, Chrystal "Jackson" Falls, and Marion Harris. If you have anything you would like to contribute please email us at sh_sixman@hotmail.com.